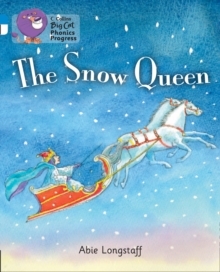 When the wicked Snow Queen puts a spell on Kay, Gerda is worried she will lose him forever. Follow Gerda on her adventure to the Snow Queen's home and find out if she is able to save her friend in this retelling of the traditional tale, beautifully illustrated by Kate Greenaway-winning illustrator Michael Foreman. *Collins Big Cat Phonics Progress books are specifically designed for struggling readers, giving them age-appropriate texts that they can read, building their confidence and fostering positive attitudes towards reading.